I jumped off the motorcycle and approached him and managed to pull the plastic bag out of his throat and stop him from choking. He quickly ran off! I ran after him through disgusting polluted puddles, garbage and mud until he arrived to his mom. 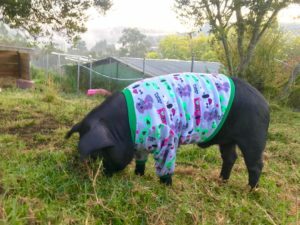 The poor momma pig was tied to a tree and hungry. I got her some food and water. However, her owner quickly approached in suspicion, he thought that I was going to steal his 150-pound pig. I explained to him that I was just feeding her and worried about her. He told me he was selling her in just a few days to be slaughtered because she wasn’t of use to him anymore and had already eaten his plants. She had a scar on her nose from a painful machete slash she had received from her last chow down in his garden. 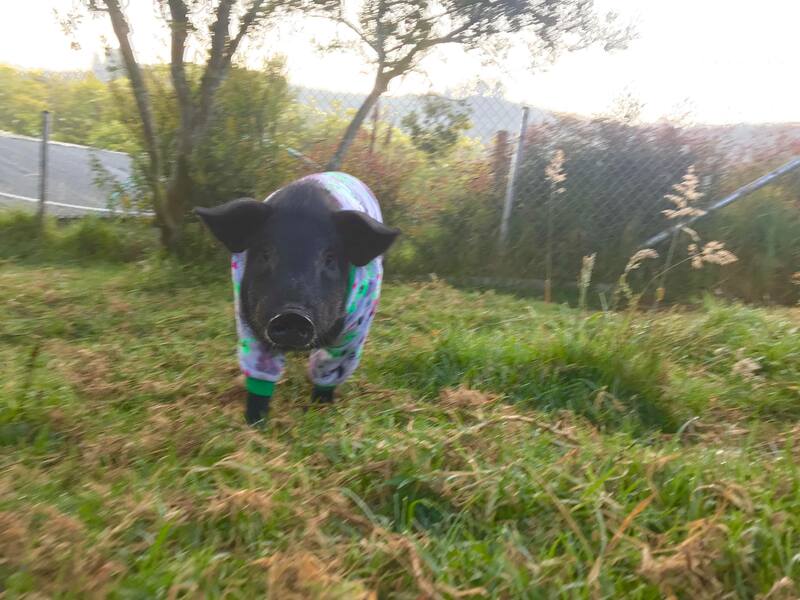 Knowing that he was not going to let me ever help her, because she was going to be sold as a profit, I asked about the small little piglet running around squeaking next to my feet. After some persuasive discussion, he allowed me to take the baby pig. I quickly rushed him home to my small apartment and began to take care of him. I had vets come and give him a checkup, vaccinations and deworm him. Peter is now 4 months old and is one big bundle of joy! 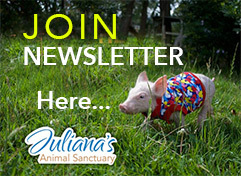 Peter can’t stay in an apartment; For this reason they called Juliana’s Animal sanctuary, because it is the only safe place for farm animals. Peter traveled with his rescuer for more than 30 hours, to his final and safe destiny. 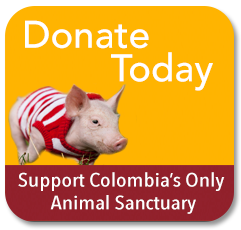 Noe Peter is part of our family and we’d like to have a sponsor for him, so we can give him the best food and care.